Typos do bother me. I guess that's because when I am reading something, they hit (and hurt) my eyes pretty quickly (so if you are seeing typos on this blog, you know why: I do not read my own blog :) and it sort of gives the impression that the person who was writing it may not have paid enough attention to the piece, somewhat decreasing the over all value of it. 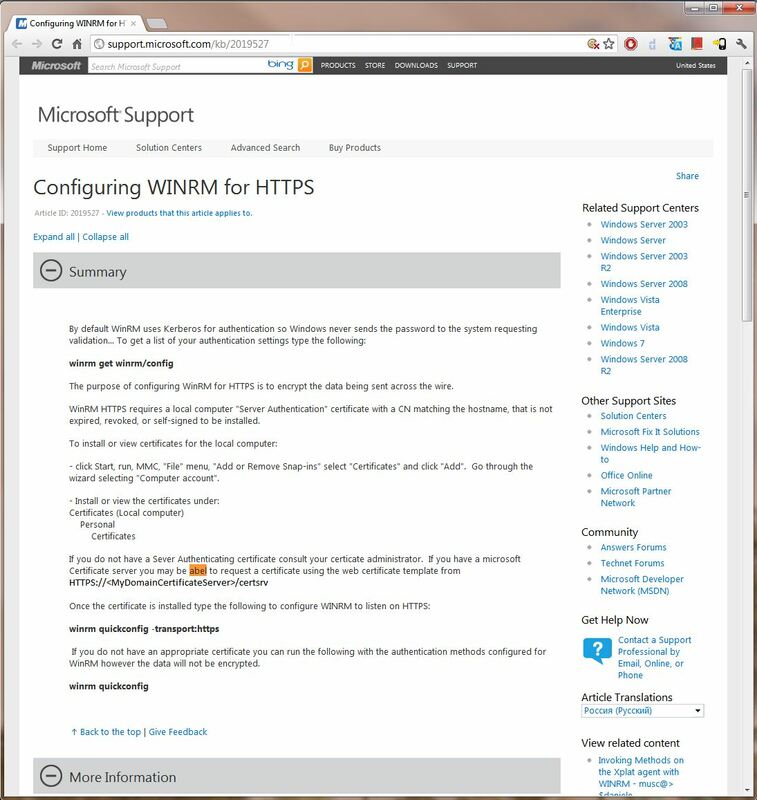 Anyway, today I was looking at my Google Reader RSS subscriptions and noticed a new article from Microsoft KB here: "Configuring WinRM for HTTPS" (click on pic above to see the actual page). Note This is a "FAST PUBLISH" article created directly from within the Microsoft support organization. The information contained herein is provided as-is in response to emerging issues. As a result of the speed in making it available, the materials may include typographical errors and may be revised at any time without notice. I sent a message to them using the feedback system at the bottom. I wonder how long it will take them to correct it. Almost the same story but this time, it's about an Apple Knowledge Base article. Here is a very common typo in article about 'Apple Thunderbolt to Gigabit Ethernet Adapter: FAQ' (HT5309) that was last modified 10 days ago (click on picture to see the actual page). Unfortunately, there is no feedback mechanism on the page to tell Apple about this. Oh, Microsoft page is still not corrected. I guess they are not reading the feedback.